Over the last decade, military theorists and authors in the fields of future warfare and strategy have examined in detail the potential impacts of an ongoing revolution in information technology. There has been a particular focus on the impacts of automation and artificial intelligence on military and national security affairs. This attention on silicon-based disruption has nonetheless meant that sufficient attention may not have been paid to other equally profound technological developments. One of those developments is the field of biotechnology. There have been some breathtaking achievements in the biological realm over the last decade. Human genome sequencing has progressed from a multi-year and multi-billion dollar undertaking to a much cheaper and quicker process, far outstripping Moore’s Law. Just as those concerned with national security affairs must monitor disruptive silicon-based technologies, leaders must also be literate in the key biological issues likely to impact the future security of nations. One of the most significant matters in biotechnology is that of human augmentation and whether nations should augment military personnel to stay at the leading edge of capability. Military institutions will continue to seek competitive advantage over potential adversaries. While this is most obvious in the procurement of advanced platforms, human biotechnological advancement is gaining more attention. As a 2017 CSIS report on the Third Offset found most new technological advances will provide only a temporary advantage, assessed to be no more than five years. In this environment, some military institutions may view the newer field of human augmentation as a more significant source of a future competitive edge. Biological enhancement of human performance has existed for millenia. The discovery of naturally occurring compounds by our ancestors has led to many of the cognitive and physical enhancements currently available. In the contemporary environment, for example, competition in national and international sports continues to fuel a race between creation of the next generation of performance enhancements and regulatory bodies developing detection methods. One example of this is the use of gene doping to hone the competitive edge in athletes, an off-label use of gene therapies originally developed for the treatment of debilitating genetic and acquired diseases. Despite the possibility of cancer and a range of other lethal side effects, some athletes consider these an acceptable risk. Might this not translate to adversaries adopting any possible advantage without equal disregard for ethics and safety considerations? It cannot be safely be assumed all states will share the same ethical, moral, legal, or policy principals as Western democratic societies. Based on developmental trajectories to date, contemporary military institutions should anticipate that all forms of human enhancements, whether relatively benign or highly controversial, will continue to evolve. For contemporary strategic leaders, the key is to anticipate how these developments may potentially impact on military institutions. 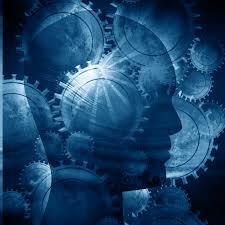 Theoretically, future advances in biotechnology may permit the augmentation of cognitive performance. However, given the challenges of biocompatibility of silicon, significant enhancements to human performance in the near future are likely to be found in prosthetics, wearable computing, or human teaming with artificial intelligence. In the longer term, some forms of gene therapy may obviate the need for implants. Noting this, a selection of likely challenges are explored below. Previously, integration of new groups into the military dealt with human beings. A first order issue will be group cohesion. Military institutions have deep experience integrating newcomers into their ranks. Fundamental to effective future teaming will be evolving this approach to establish trust and group cohesion between normal humans and those who are augmented. The degree to which military leaders can and should trust augmented personnel to make decisions about saving and taking lives is likely to be an evolutionary process. It also remains to be seen whether or not teams comprised of augmented and non-augmented humans are capable of developing trust. Experimentation and trials are needed to establish whether augmented people will bias away from decisions and input from non-augmented people and vice versa. While institutions can learn from historical integration challenges, there is one essential difference with augmented humans. Previously, integration of new groups into the military dealt with human beings. If augmentation using neurotechnology significantly enhances cognitive function, this may represent a separate and distinct group of future Homo sapiens. The second challenge will be accessibility. Military institutions will need to decide what proportion of its forces will be augmented. Given that early generations of this biotechnology may be expensive, it is unlikely an entire military institution can be augmented. If so, who will be augmented and why? Military institutions will need to develop a value proposition to ensure physical and cognitive augmentation produces superior outcomes to the use of un-augmented personnel. Yet another question to ask is whether military personnel will be de-augmented on leaving the service. The transition of augmented personnel into a largely unaugmented populace may be traumatic for military personnel, and for society more broadly. Even more severe in its repercussions may be transitioning de-augmented personnel into a populace where augmentation is ubiquitous. The third challenge will be conceptual. One Chinese scientist, writing in 2006, has proposed military biotechnology offers the chance to shift to a “new balance between defence and attack, giving rise to a new concept of warfare, a new balance of military force, and new attacking power.” While the emphasis of this particular article was on a more merciful form of warfare—about which we should be skeptical—it nonetheless highlights the requirement to rethink what biotechnology and human augmentation means for how military institutions develop warfighting concepts. When humans arrive with cognitive enhancement, a range of tactical, operational, and strategic concepts may become irrelevant. Strategic thinking, using a combination of biological and silicon-based technologies could take organisations in very different directions than is presently the case. It also bears examining whether those with augmentation will enable greater diversity of performance (particularly in the intellectual realm) or if it will lead to increased homogenisation of physical and cognitive performance. The fourth challenge is obsolescence. A fundamental challenge for humans waging war is that, despite technological advances, one of the weakest links is the physical capacity of the human. As Patrick Lin was written, technology makes up for our absurd frailty. Therefore, might normal humans without augmentation become irrelevant in a new construct where military institutions possess large numbers of physically and cognitively augmented personnel? It remains to be seen whether unaugmented humans might able to compete with physically and cognitively augmented military personnel. The augmentation of humans for different physical and cognitive functions may also drive change in how military institutions operate, plan, and think strategically. A fifth challenge is military education and training. Traditional military training emphases the teaching of humans to achieve learning outcomes and missions as individuals and teams. In an integrated augmented/non-augmented institution, training methods must evolve to account for the different and improved capabilities of augmented personnel and to blend the capabilities of augmented and non-augmented personnel. Similarly, education for military leaders currently seeks to achieve their intellectual development in the art and science of war. If humans augmented with cognitive enhancements are present, both institutional and individual professional military education will also need to evolve. Learning delivery, as well as key learning outcomes, will have to be re-examined to account for the enhanced physical and cognitive performance of this new segment of the military workforce. Even issues as basic as fitness assessments must be re-examined. Potentially, military organisations could drop physical assessments by automatically augmenting people to the institutionally desired level of performance. The sixth challenge is one of choice. Command structures demand a reduction in an individual’s free will to refuse such that informed consent is not quite the same as for the general population. And when experimental augmentation options progress to become approved interventions, can we equate a parent considering whether to choose an approved cognitive augmentation option for their child to a soldier contemplating the same when operating alongside augmented peers where the stakes are orders of magnitude greater? How much choice will military personnel have in the augmentation process? Will this be on a volunteer basis or by direction, and what are the moral, legal, and ethical implications of these stances? 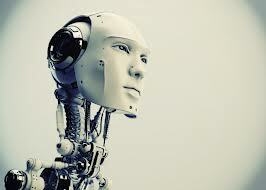 Speculation that augmentation may become mandatory for some professions may also apply to the military. The final issue addressed in this article is one of ethics. Research communities are grappling with the ethical and moral implications of augmentation for society as a whole. While the first concern in evaluating the military applications of biotechnology is international humanitarian law, bioethics must also be considered. Ethical considerations pervade almost every aspect of human augmentation, and there are ethical considerations threaded through the other challenges raised in this article. For example, beyond the first order questions of whether we should augment soldiers are issues such as how much augmentation should be allowable. Military institutions should also assess the cumulative effects of multiple augmentations and the consequences of converging augmentation. There may also be a point at which a highly augmented human may cross the human-machine barrier, as well as a range of unanticipated capabilities that emerge from different augmentation combinations. These issues must be informed by those within the biotechnology community, but they alone cannot solve them. Broader involvement by senior military, government, and community leaders is required. One expert in biotechnology has written that “clearly the new forms of power being unleashed by bio-technology will have to be harnessed and used with greater wisdom than power has been used in the past.” If military institutions are to demonstrate wisdom in their investments in biotechnology, they must explore societal impacts as well as effects within military institutions. It is likely some augmentation will be—at least initially—expensive. It may be beyond the means of most people in society and, potentially, many government and corporate institutions. If only military personnel might be augmented, what are the impacts on civil-military relationships, and who would make this decision? In this construct, it could be unethical to deny the benefits of augmentation to wider society. However as Yuval Harari has noted, this may see a differentiation in how society views augmented and non-augmented people—“Splitting humankind into biological castes will destroy the foundations of liberal ideology. Liberalism still presupposes that all human beings have equal value and authority.” In Western democracies, this poses profound questions about conferred advantage, societal sense of fairness and equality, and the value of individuals within society. In Western democratic systems, development of regulation, policy, and legal frameworks is not keeping pace with the current tempo of complicated technological advancements. It cannot be assumed other states are allowing these deficits to slow their efforts in biotechnology, not to mention the unregulated efforts of non-state actors. While the focus of the fourth industrial revolution remains predominantly on technologies, perhaps for Australia (and other democracies) it is also these areas which require a complementary revolution in the Whole of Nation enterprise so as to keep up with the pace of change and facilitate systematic assessment of human augmentation implications. The potential to augment the physical and cognitive capacity of humans is seductive. There will be some who will not demonstrate responsible behaviour in taking advantage of these new technologies. Humans have demonstrated in the past the capacity to responsibly manage disruptive technologies such as flight, atomic weapons, and space-based capabilities. This means thoughtful academics, national security practitioners, and people from wider society must be part of the discussion on why and how biotechnology might be used in future. It is vital for the future of global security, and for the human race, that mechanisms for responsible ethical and legal use of biotechnology are considered and developed. This must occur in parallel with the scientific endeavours to develop new biotechnologies. Mick Ryan is an Australian Army officer, and Commander of the Australian Defence College in Canberra, Australia. A distinguished graduate of Johns Hopkins University and the USMC Staff College and School of Advanced Warfare, he is a passionate advocate of professional education and lifelong learning. Therese Keane is a scientist with the Defence Science and Technology Group. Although with a background in mathematics now expanding into biotechnology. The views expressed are the authors’ and do not reflect the official position of the Australian Department of Defence or the Australian Government. My suggestion is to use the sensor for Touch ID for communication with the AI. The Audeo is a sensor/device which detects activity in the larynx (aka. voice box) through EEG (Electroencephalography). The Audeo is unique in it’s use of EEG in that it is detecting & analyzing signals outside the brain on their path to the larynx.1 The neurological signals/data are then encrypted and then transmitted to a computer to be processed using their software (which can be seen being used in Kimberly Beals’ video).2 Once it is analyzed and processed the data can then be represented using a computer speech generator. In a $6.3 million Army initiative to invent devices for telepathic communication, Gerwin Schalk, underwritten in a $2.2 million grant, found that it is possible to use ECoG https://en.m.wikipedia.org/wiki/Electrocorticography signals to discriminate the vowels and consonants embedded in spoken and in imagined words. The results shed light on the distinct mechanisms associated with production of vowels and consonants, and could provide the basis for brain-based communication using imagined speech. Research into synthetic telepathy using subvocalization https://en.m.wikipedia.org/wiki/Subvocalization is taking place at the University of California, Irvine under lead scientist Mike D’Zmura. The first such communication took place in the 1960s using EEG to create Morse code using brain alpha waves. give you this opportunity for free? Brain-computer interfaces could change the way people think, soldiers fight and Alzheimer’s is treated. But are we in control of the ethical ramifications? At the World Government Summit in Dubai in February, Tesla and SpaceX chief executive Elon Musk said that people would need to become cyborgs to be relevant in an artificial intelligence age. He said that a “merger of biological intelligence and machine intelligence” would be necessary to ensure we stay economically valuable. Soon afterwards, the serial entrepreneur created Neuralink, with the intention of connecting computers directly to human brains. He wants to do this using “neural lace” technology – implanting tiny electrodes into the brain for direct computing capabilities. Brain-computer interfaces (BCI) aren’t a new idea. Various forms of BCI are already available, from ones that sit on top of your head and measure brain signals to devices that are implanted into your brain tissue. They are mainly one-directional, with the most common uses enabling motor control and communication tools for people with brain injuries. In March, a man who was paralysed from below the neck moved his hand using the power of concentration. But Musk’s plans go beyond this: he wants to use BCIs in a bi-directional capacity, so that plugging in could make us smarter, improve our memory, help with decision-making and eventually provide an extension of the human mind. “Musk’s goals of cognitive enhancement relate to healthy or able-bodied subjects, because he is afraid of AI and that computers will ultimately become more intelligent than the humans who made the computers,” explains BCI expert Professor Pedram Mohseni of Case Western Reserve University, Ohio, who sold the rights to the name Neuralink to Musk. “He wants to directly tap into the brain to read out thoughts, effectively bypassing low-bandwidth mechanisms such as speaking or texting to convey the thoughts. This is pie-in-the-sky stuff, but Musk has the credibility to talk about these things,” he adds. Musk is not alone in believing that “neurotechnology” could be the next big thing. Silicon Valley is abuzz with similar projects. 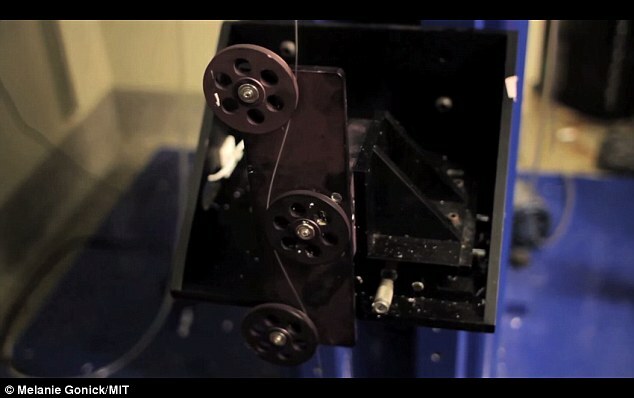 Bryan Johnson, for example, has also been testing “neural lace”. He founded Kernel, a startup to enhance human intelligence by developing brain implants linking people’s thoughts to computers. In 2015, Facebook CEO Mark Zuckerberg said that people will one day be able to share “full sensory and emotional experiences” online – not just photos and videos. Facebook has been hiring neuroscientists for an undisclosed project at its secretive hardware division, Building 8. 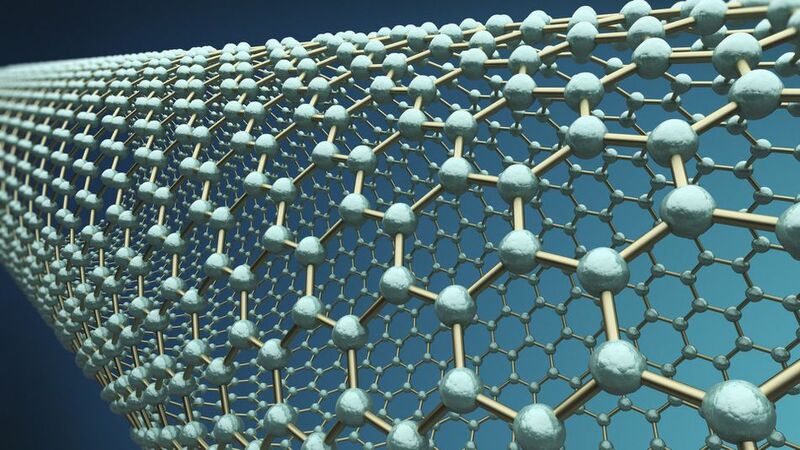 However, it is unlikely this technology will be available anytime soon, and some of the more ambitious projects may be unrealistic, according to Mohseni. “In my opinion, we are at least 10 to 15 years away from the cognitive enhancement goals in healthy, able-bodied subjects. It certainly appears to be, from the more immediate goals of Neuralink, that the neurotechnology focus will continue to be on patients with various neurological injuries or diseases,” he says. Mohseni says one of the best current examples of cognitive enhancement is the work of Professor Ted Berger, of the University of Southern California, who has been working on a memory prosthesis to replace the damaged parts of the hippocampus in patients who have lost their memory due to, for example, Alzheimer’s disease. In the UK, research is ongoing. Davide Valeriani, senior research officer at University of Essex’s BCI-NE Lab, is using an electroencephalogram (EEG)-based BCI to tap into the unconscious minds of people as they make decisions. Whenever there is talk of enhancing humans, moral questions remain – particularly around where the human ends and the machine begins. “In my opinion, one way to overcome these ethical concerns is to let humans decide whether they want to use a BCI to augment their capabilities,” Valeriani says. The plan is to eventually build non-implanted devices that can ship at scale. And to tamp down on the inevitable fear this research will inspire, Facebook tells me “This isn’t about decoding random thoughts. This is about decoding the words you’ve already decided to share by sending them to the speech center of your brain.” Facebook likened it to how you take lots of photos but only share some of them. Even with its device, Facebook says you’ll be able to think freely but only turn some thoughts into text. Meanwhile, Building 8 is working on a way for humans to hear through their skin. It’s been building prototypes of hardware and software that let your skin mimic the cochlea in your ear that translates sound into specific frequencies for your brain. This technology could let deaf people essentially “hear” by bypassing their ears. A team of Facebook engineers was shown experimenting with hearing through skin using a system of actuators tuned to 16 frequency bands. A test subject was able to develop a vocabulary of nine words they could hear through their skin. To underscore the gravity of Building 8s mind-reading technology, Dugan started her talk by saying she’s never seen something as powerful as the smartphone “that didn’t have unintended consequences.” She mentioned that we’d all be better off if we looked up from our phones every so often. But at the same time, she believes technology can foster empathy, education and global community. Facebook hired Dugan last year to lead its secretive new Building 8 research lab. She had previously run Google’s Advanced Technology And Products division, and was formerly a head of DARPA. Facebook built a special Area 404 wing of its Menlo Park headquarters with tons of mechanical engineering equipment to help Dugan’s team quickly prototype new hardware. In December, it signed rapid collaboration deals with Stanford, Harvard, MIT and more to get academia’s assistance. Yet until now, nobody really knew what Building 8 was…building. Business Insider had reported on Building 8’s job listings and that it might show off news at F8. Elon Musk has been developing his own startup called Neuralink for creating brain interfaces. Facebook has built hardware before to mixed success. It made an Android phone with HTC called the First to host its Facebook Home operating system. That flopped. Since then, Facebook proper has turned its attention away from consumer gadgetry and toward connectivity. It’s built the Terragraph Wi-Fi nodes, Project ARIES antenna, Aquila solar-powered drone and its own connectivity-beaming satellite from its internet access initiative — though that blew up on the launch pad when the SpaceX vehicle carrying it exploded. Facebook has built and open sourced its Surround 360 camera. As for back-end infrastructure, it’s developed an open-rack network switch called Wedge, the Open Vault for storage, plus sensors for the Telecom Infra Project’s OpenCellular platform. And finally, through its acquisition of Oculus, Facebook has built wired and mobile virtual reality headsets. But as Facebook grows, it has the resources and talent to try new approaches in hardware. With over 1.8 billion users connected to just its main Facebook app, the company has a massive funnel of potential guinea pigs for its experiments. Today’s announcements are naturally unsettling. Hearing about a tiny startup developing these advanced technologies might have conjured images of governments or coporate conglomerates one day reading our mind to detect thought crime, like in 1984. Facebook’s scale makes that future feel more plausible, no matter how much Zuckerberg and Dugan try to position the company as benevolent and compassionate. The more Facebook can do to institute safe-guards, independent monitoring, and transparency around how brain-interface technology is built and tested, the more receptive it might find the public. A week ago Facebook was being criticized as nothing but a Snapchat copycat that had stopped innovating. Today’s demos seemed design to dismantle that argument and keep top engineering talent knocking on its door. “Do you want to work for the company who pioneered putting augmented reality dog ears on teens, or the one that pioneered typing with telepathy?” You don’t have to say anything. For Facebook, thinking might be enough. There is no established legal protection for the human subject when researchers use Brain Machine Interface (cybernetic technology) to reverse engineer the human brain. The progressing neuroscience using brain-machine-interface will enable those in power to push the human mind wide open for inspection. There is call for alarm. What kind of privacy safeguard is needed, computers can read your thoughts! In recent decades areas of research involving nanotechnology, information technology, biotechnology and neuroscience have emerged, resulting in, products and services. An appropriate albeit alarming question is: “Do you accept being enmeshed in a computer network and turned into a multimedia module”? authorities will be able to collect information directly from your brain, without your consent. Brain Machine Interface (Cybernetic technology) can be used to read our minds and to manipulate our sensory perception! 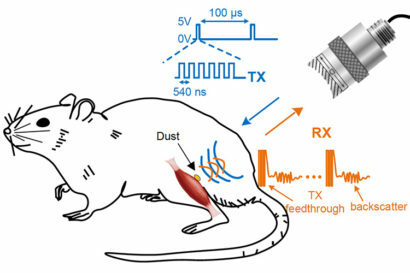 UC Berkeley engineers have built the first dust-sized, wireless sensors that can be implanted in the body, bringing closer the day when a Fitbit-like device could monitor internal nerves, muscles or organs in real time. Because these batteryless sensors could also be used to stimulate nerves and muscles, the technology also opens the door to “electroceuticals” to treat disorders such as epilepsy or to stimulate the immune system or tamp down inflammation. The so-called neural dust, which the team implanted in the muscles and peripheral nerves of rats, is unique in that ultrasound is used both to power and read out the measurements. Ultrasound technology is already well-developed for hospital use, and ultrasound vibrations can penetrate nearly anywhere in the body, unlike radio waves, the researchers say. Maharbiz, neuroscientist Jose Carmena, a professor of electrical engineering and computer sciences and a member of the Helen Wills Neuroscience Institute, and their colleagues will report their findings in the August 3 issue of the journal Neuron. 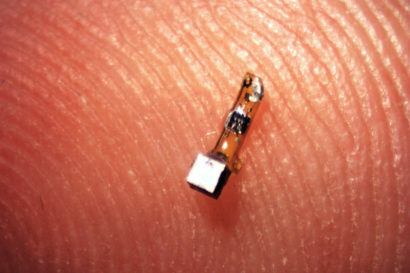 The sensors, which the researchers have already shrunk to a 1 millimeter cube – about the size of a large grain of sand – contain a piezoelectric crystal that converts ultrasound vibrations from outside the body into electricity to power a tiny, on-board transistor that is in contact with a nerve or muscle fiber. 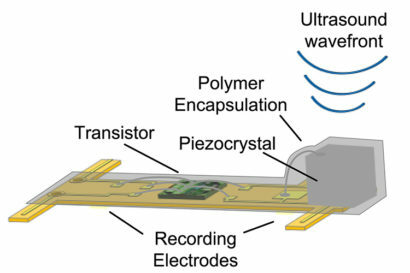 A voltage spike in the fiber alters the circuit and the vibration of the crystal, which changes the echo detected by the ultrasound receiver, typically the same device that generates the vibrations. The slight change, called backscatter, allows them to determine the voltage. In their experiment, the UC Berkeley team powered up the passive sensors every 100 microseconds with six 540-nanosecond ultrasound pulses, which gave them a continual, real-time readout. 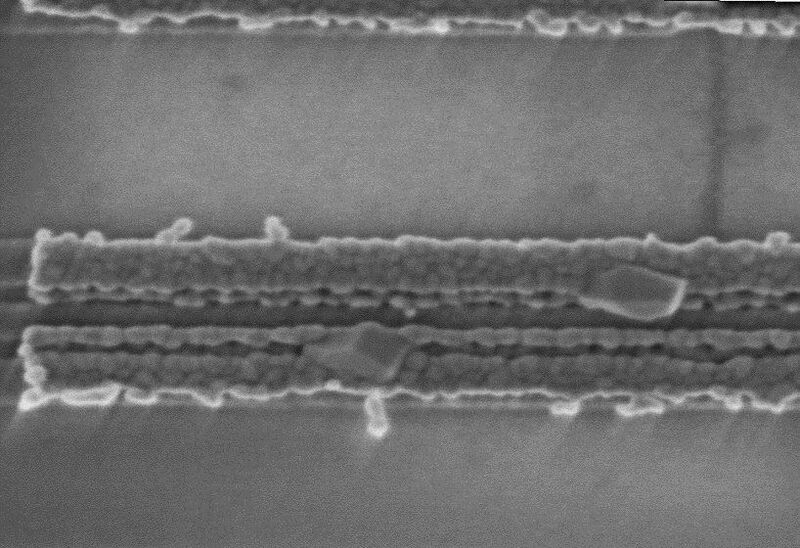 They coated the first-generation motes – 3 millimeters long, 1 millimeter high and 4/5 millimeter thick – with surgical-grade epoxy, but they are currently building motes from biocompatible thin films which would potentially last in the body without degradation for a decade or more. While the experiments so far have involved the peripheral nervous system and muscles, the neural dust motes could work equally well in the central nervous system and brain to control prosthetics, the researchers say. Today’s implantable electrodes degrade within 1 to 2 years, and all connect to wires that pass through holes in the skull. 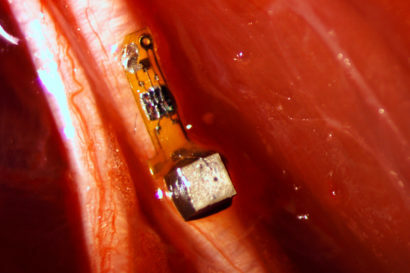 Wireless sensors – dozens to a hundred – could be sealed in, avoiding infection and unwanted movement of the electrodes. 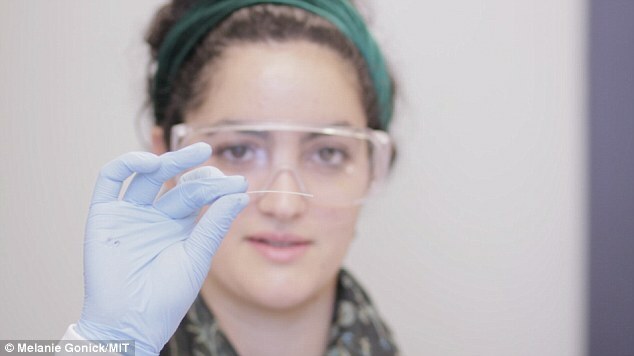 In a paper published online in 2013, the researchers estimated that they could shrink the sensors down to a cube 50 microns on a side – about 2 thousandths of an inch, or half the width of a human hair. At that size, the motes could nestle up to just a few nerve axons and continually record their electrical activity. The team is working now to miniaturize the device further, find more biocompatible materials and improve the surface transceiver that sends and receives the ultrasounds, ideally using beam-steering technology to focus the sounds waves on individual motes. They are now building little backpacks for rats to hold the ultrasound transceiver that will record data from implanted motes. Diagram showing the components of the sensor. The entire device is covered in a biocompatible gel. They’re also working to expand the motes’ ability to detect non-electrical signals, such as oxygen or hormone levels. Maharbiz and Carmena conceived of the idea of neural dust about five years ago, but attempts to power an implantable device and read out the data using radio waves were disappointing. Radio attenuates very quickly with distance in tissue, so communicating with devices deep in the body would be difficult without using potentially damaging high-intensity radiation. A sensor implanted on a peripheral nerve is powered and interrogated by an ultrasound transducer. The backscatter signal carries information about the voltage across the sensor’s two electrodes. The ‘dust’ mote was pinged every 100 microseconds with six 540-nanosecond ultrasound pulses. Marharbiz hit on the idea of ultrasound, and in 2013 published a paper with Carmena, Seo and their colleagues describing how such a system might work. “Our first study demonstrated that the fundamental physics of ultrasound allowed for very, very small implants that could record and communicate neural data,” said Maharbiz. He and his students have now created that system. “Now that you have a reliable, minimally invasive neural pickup in your body, the technology could become the driver for a whole gamut of applications, things that today don’t even exist,“ Carmena said. Other co-authors of the Neuron paper are graduate student Konlin Shen, undergraduate Utkarsh Singhal and UC Berkeley professors Elad Alon and Jan Rabaey. The work was supported by the Defense Advanced Research Projects Agency of the Department of Defense.